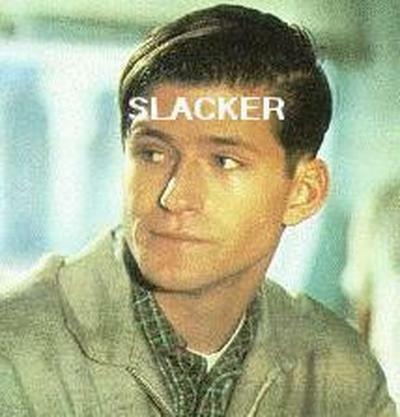 Who knew George McFly and I had so much in common? So it’s been almost two months since my last post. Kind of crazy. I’m really not sure why… there’s no reason or excuse or whatever. I’ve been kind of busy, but not really. Doing fun things but they’re just not story worthy I guess. At any rate, the blog is not dead, just taking a nap. And doesn’t it look adorable while it’s sleeping? Like a little angel? At any rate, thanks for still stopping by (I was kinda shocked at my numbers considering the length of time since the last update). I am posting a little Friday video for those of you (like me) stuck in an office all day. This is what would happen to me if the work week were six days long instead of five. That one extra day and I’d go postal. So enjoy, and if you really miss me feel free to email me. And if you don’t know me well enough to know my email… well, sorry.